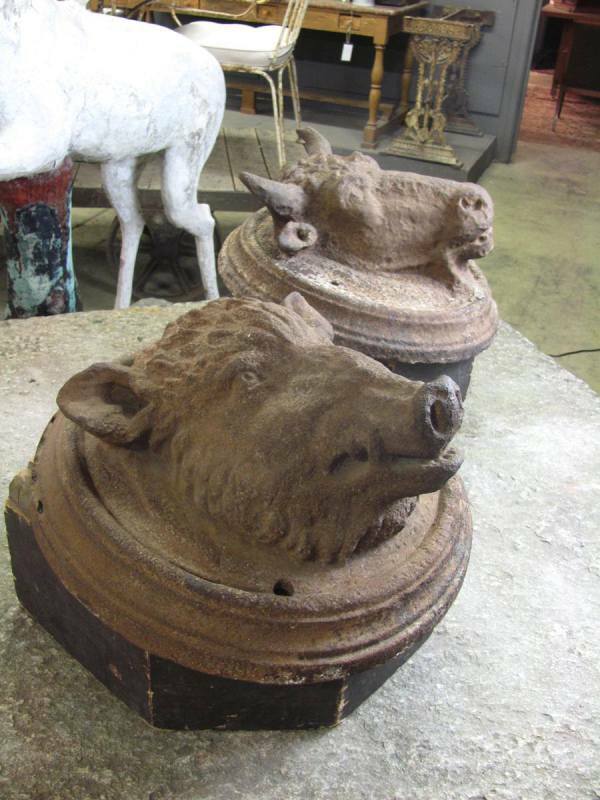 Rare and unusual pair of German 19th century three dimensional cast iron trade signs. 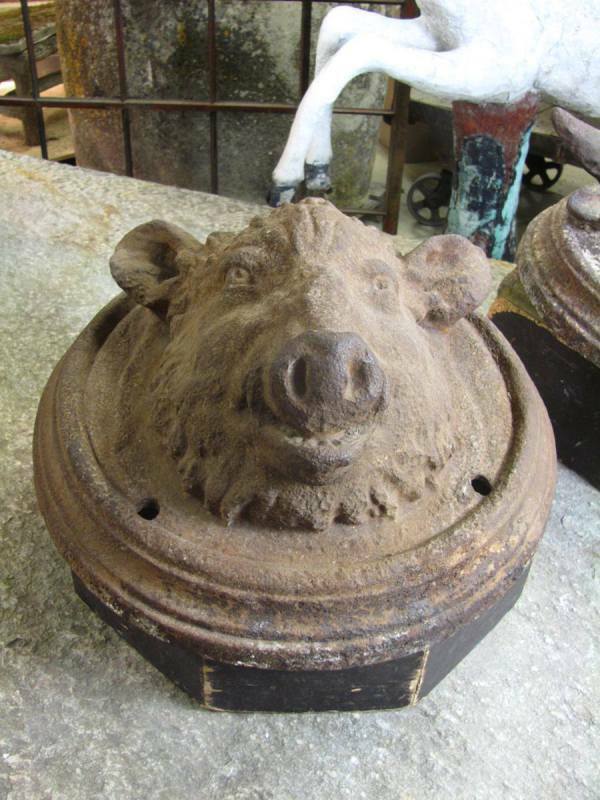 These well detailed roundels are from a boucherie; one a bull�s head, the other a boar�s head. 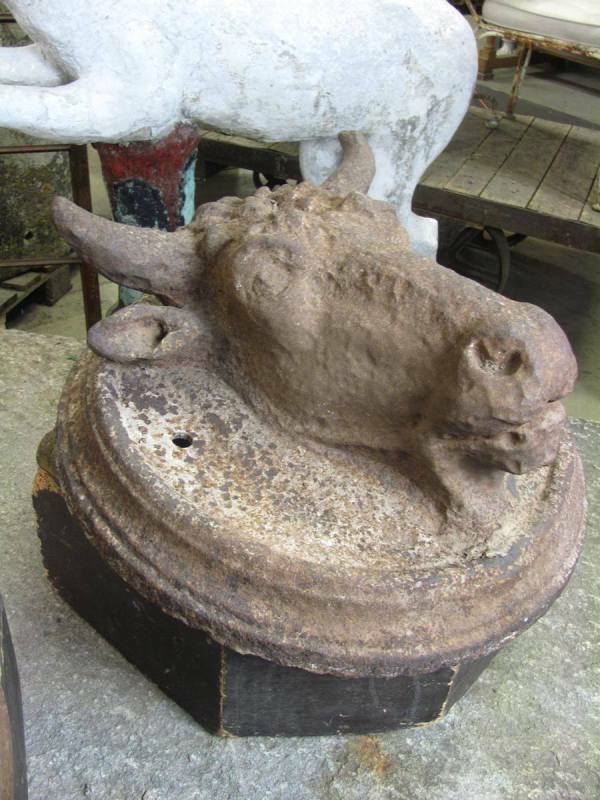 Measurements: Diameter: 19" Depth: 8-11"
E-mail: Rare and unusual pair of German 19th century three dimensional cast iron trade signs. 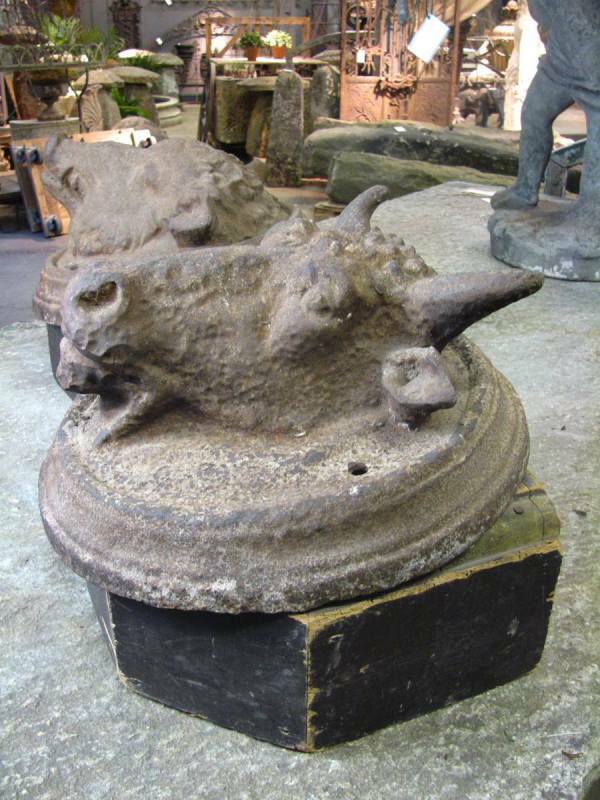 These well detailed roundels are from a boucherie; one a bull�s head, the other a boar�s head.